The new Healthy Homes Standards are designed to make a significant change to the quality of New Zealand rental homes. Homes will have a minimum standard for heating, insulation, ventilation, moisture and drainage in residential rental properties. Private landlords have until July 1, 2021 to ensure rental properties comply with the standards. Housing NZ and other social housing providers have another two years. While these changes primarily affect rental properties, the new standards serve to highlight the importance of adequate ventilation, heating and extraction in all New Zealand homes, whether new-build or existing. We know, for example that “around 30 per cent of homes are damp and many houses in New Zealand have mould” (energywise.govt.nz). Many homes have high moisture levels due to excessive moisture production and poor ventilation – and this is where Weiss products can help. We know mould is linked to “poor health outcomes including respiratory illnesses and worsening asthma”. Mould also damages walls, ceilings and floors. Research shows that daily ventilation is essential to replace damp, stale air with fresh, dry air. A well-ventilated home is not only healthier, it is also easier to heat. 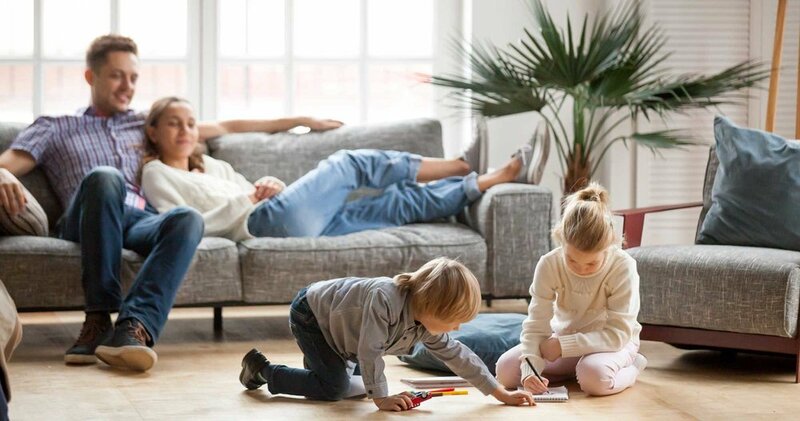 The Weiss XR Series Eco Home Ventilation system is designed to maintain the air quality in a dwelling to help keep occupants healthy and happy. We have combined our new EC fans with our intelligent control technology to deliver the latest innovative leap in home ventilation systems. Weiss Intelligent Technology (WIT) ventilates the home, continuously supplying clean, fresh, dry air, protecting the home from condensation. Once installed, occupants should notice a dramatic reduction in condensation and mould build-up within just two to four weeks. The new standards will also require a “fixed, modern, affordable heating source that can maintain the main living area of a home at 18-degrees Celsius on the coldest winter day”. This is to meet the World Health Organisation (WHO) recommendations. Weiss offers a range of heating products ideal for heating homes. Our popular SM2400 Surface-Mount space heater is a huge 2400-watts and is used to quickly heat homes, motels and classrooms. It features a powerful yet quiet tangential fan, optional run timer, adjustable thermostat, electronic control and is tested and approved to New Zealand standards. We know mould can have a significant negative effect on people’s health and is linked with respiratory illnesses and asthma, often with life-long effects. The new standards require extractor fans in all bathrooms and kitchens. The main purpose of an extractor fan in a bathroom is to provide ventilation to avoid condensation build-up from steam rising from hot baths and showers. Warm, moist air encourages the growth of unhealthy mould and mildew, and can damage fixtures and surfaces. An effective extractor fan removes this warm, moist air and well unpleasant odours and pollutants. Weiss is proud to introduce New Zealand's first Weiss ER Series EC Bathroom extraction fan. This smart extraction fan has a built-in intelligent, fully-automatic humidity control function that constantly monitors the bathroom environment. This means mist-free mirrors. It also prevents mould, controls odour and extends the life of paint and bathroom fittings. For a safer, healthier bathroom install a Weiss ER Series EC Bathroom extraction fan. If you own a home, have a rental property, are building a new home or are involved in the building trade, Weiss can help you meet the new Housing Standards in the three key areas of ventilation, heating and extraction. Don’t wait! To find our more, contact us.